Your opinion matters. 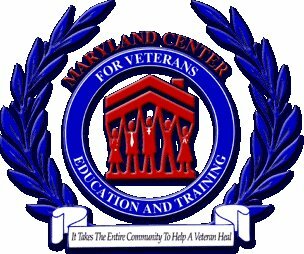 Leave your review of Maryland Center for Veterans Education and Training. The Emergency Housing component is actually the first phase for veterans committing to the MCVET program. The Emergency Housing program has a capacity of 50 beds and is available to residents for a period not to exceed thirteen (13) weeks. During the 13 weeks, residents' military status is confirmed and they receive VA benefits counseling. They are also assigned to a case manager who works with the resident to identify the causes of the homelessness and to outline employment and education goals. The Transitional Housing Program has 120 beds and provides up to two years of transitional housing and supportive services to veterans who have successfully completed the Emergency Shelter Program and need continued supportive services in order to return them to employment and permanent housing. The Single Room Occupancy Program is an essential component to the overall continuum of care because it gives MCVET the ability to place veterans in permanent housing with continued access to on-site case management and counseling services. The SRO functions in conjunction with the existing Emergency Shelter and Transitional Housing Programs to provide a full continuum of housing, counseling and job placement services to veterans in need. Veteran applicants from outside MCVET's program, including female veterans, are also eligible for the SRO units. Do you have items to donate? Contact Maryland Center for Veterans Education and Training at the phone number provided above to see if they can use any items you may have to donate.